Polonium (Po). Diagram of the nuclear composition and electron configuration of an atom of polonium-210 (atomic number: 84), a natural isotope of this element. The nucleus consists of 84 protons (red) and 126 neutrons (blue). 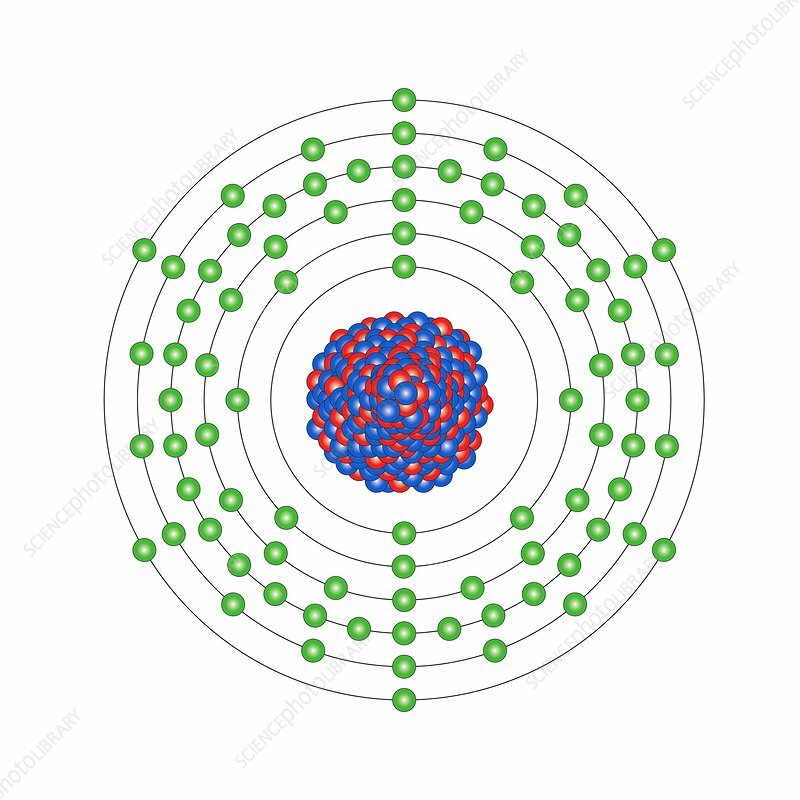 Polonium is a radioactive metalloid in group 16, period 6, and the p-block of the periodic table. Discovered in 1898 by the Curies, it was named after Poland. Polonium-210, which forms in uranium ores, has a half-life of 138 days, emitting an alpha particle from its unstable nucleus to form lead-206.